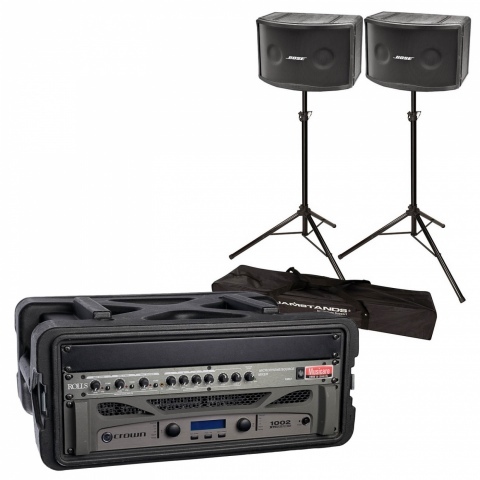 Popular 500 watt Bose Sound System with preamp-mixer. Plug in your iPod or Laptop with the AUX cable provided. Now with Bluetooth for wireless connection to your device. Loud enough to dance to.